Proposed by Tim for the things to do list last time. Even more of them the last two days. No cops = teenage boys go wild on their two strokes. 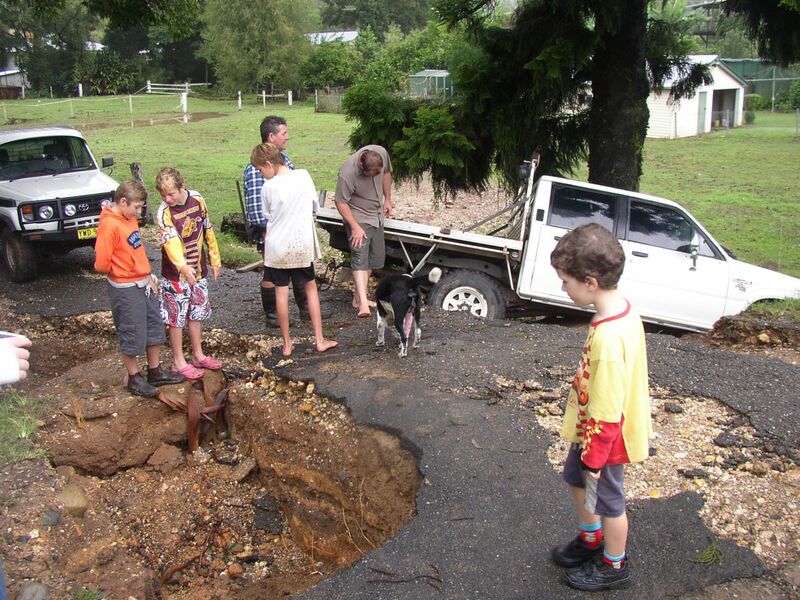 Hey just wanted to let you know i love your things to do during a flood, however the ute that is stuck was actually a very nice young man attempting to pull my parents bus out of a few feet of water and the road collapsed under him, theres plenty of photos of other young hoons find one of those. Apologies Chelzea, I didn’t know that. hey thats cool, i saw lots of idiots too, and too many people dont realise the waves they create send more water into peoples houses! i hope one day its their houses and they get a wake up call. Hey Steve, thanks for this update on beautiful Bellingen! 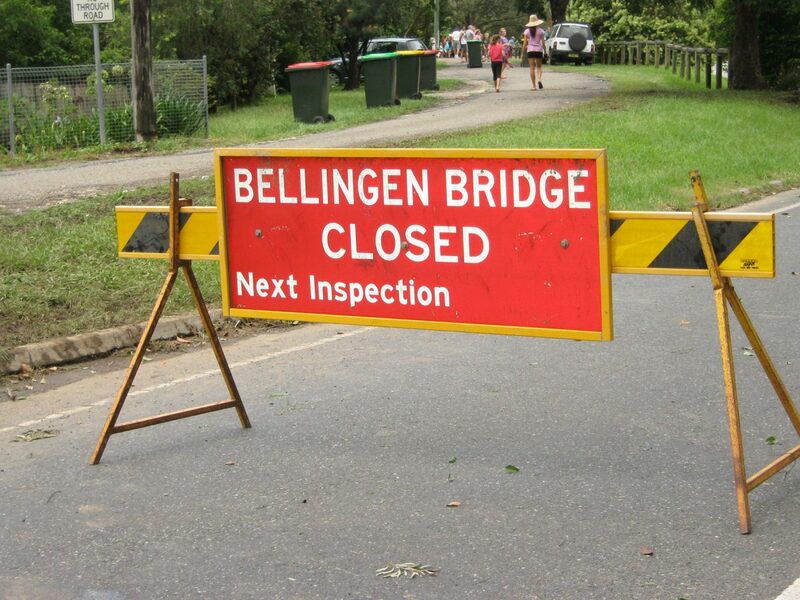 I thought Bellingen had nice weather all year round.. Gee what a wrong thougt it was…..I live on the other side of the world, up in tiny Netherlands and have a friend living in North Bellingen. Good luck with all these floods, thunderstorms and rain.. Yes, Bellingen is flooded again. May 23, 2009. 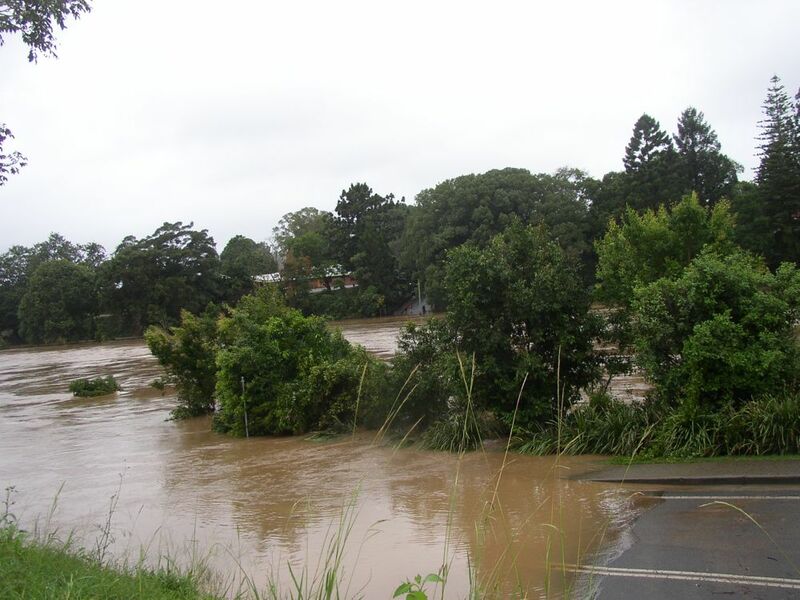 Bellingen floods – when do bridges close?